From the bestselling author of The Dovekeepers comes a love story about one of history's most captivating 'invisible' women: Rachel, the mother of Impressionist painter Camille Pissarro. Growing up on the idyllic island of St Thomas in the early 1800s, Rachel dreams of life in faraway Paris. Rachel's mother, a pillar of their tight-knit refugee community of Jews who escaped the European Inquisition, has never forgiven her daughter for refusing to live by the rules. But Rachel's fate is not in her own hands: in order to secure the future of her father's business, she is married off to a widower with three children. When her husband dies suddenly and his handsome nephew Frédéric arrives from France to settle the estate, Rachel seizes control of her life, beginning a defiant, passionate love affair that sparks a scandal affecting her entire family, including her favourite son, Camille Pissarro, who will one day become a founder member of the Impressionists and one of history's greatest artists. 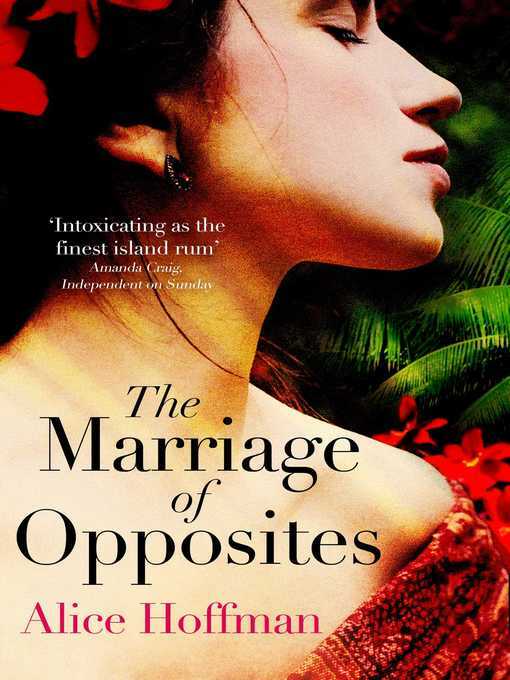 Set in a world of lush, exquisite beauty, The Marriage of Opposites shows Alice Hoffman at the height of her considerable powers. The marriage of Rachel and Frédéric is an unforgettable story of an extraordinary woman and her forbidden love.